There was no specific reason U.S. Pacific Command elected to rearrange the schedule of the Carl Vinson Carrier Strike Group and send it toward the Korean peninsula, Secretary of Defense James Mattis told reporters on Tuesday. 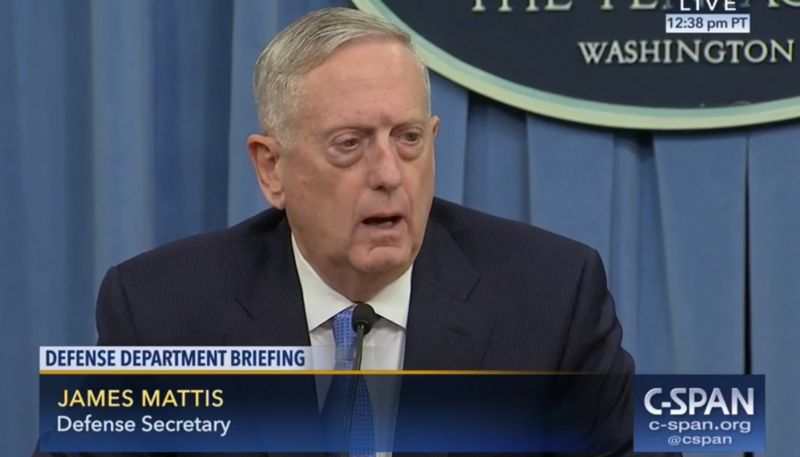 Speaking at a press briefing, Mattis said the U.S. has to explain why previously announced events with the CSG were canceled which prompted a Saturday announcement from U.S. Pacific Command the ship was no longer making port calls in Australia. “There’s not a specific demand signal or specific reason we’re sending her up there,” Mattis said. While the Vinson CSG schedule is accelerated, it has not canceled training events to move faster toward the Korean peninsula. Given the distances involved from the initial announcement when the ship was leaving Singapore, it would take more than a week for the strike group to enter waters near Korea, USNI News understands. It would be unlikely the Vinson CSG wouldn’t arrive before the April 15 Day of the Sun, the annual holiday that celebrates the birth of North Korea founder Kim il-Sung. In the past, Pyongyang has used holidays as a backdrop for nuclear or missile tests. North Korean watchers at the 38 North blog reported increased activity in the last several weeks at the site where North Korea conducted its last four nuclear tests. 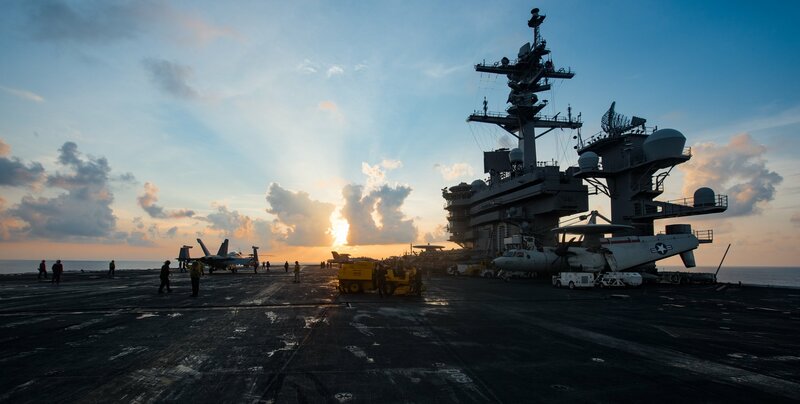 “The number one threat in the region continues to be North Korea, due to its reckless, irresponsible, and destabilizing program of missile tests and pursuit of a nuclear weapons capability,” read a statement from PACOM provided to USNI News. Mattis statement comes as North Korea has issued a series of threats warning it could use nuclear weapons to counter perceived invasion. “Our revolutionary strong army is keenly watching every move by enemy elements with our nuclear sight focused on the U.S. invasionary bases not only in South Korea and the Pacific operation theater but also in the U.S. mainland,” read a statement in the state-controlled newspaper Rodong Sinmun reported newswire Reuters. The strike group had operated off the Korean peninsula last month as part of the U.S.-South Korean Operation Foal Eagle 2017 exercise. Dealing North Korea was a key topic between President Donald Trump and Chinese leader Xi Jinping’s meeting last week at Mar-a-Lago in Florida. A spokesperson for the Chinese Foreign Ministry urged caution to both Pyongyang and Washington on Tuesday. The Vinson Strike Group deployment is being overseen by U.S. Third Fleet based in San Diego, Calif. as a test of the Navy’s ability to command and control forces in the Western Pacific, reported USNI News earlier this year.